Save $19.99 on Your Order with Advantage Today! 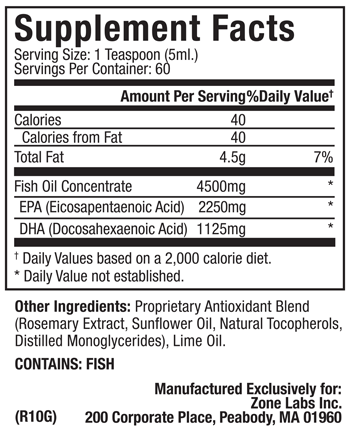 Potency: Supplies 2250mg of EPA and 1125mg of DHA per serving which amounts to (1) teaspoon. OmegaRx 2 Liquid Storage: Store in freezer once open. 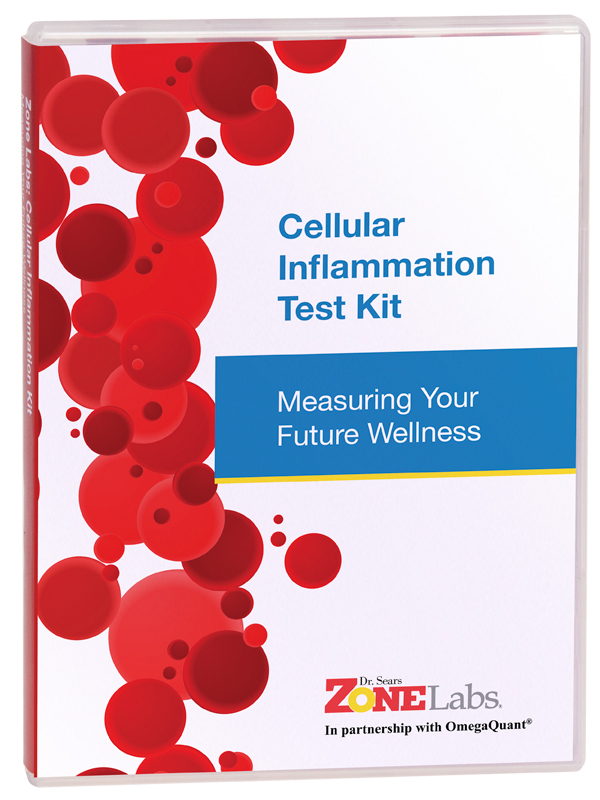 The Cellular Inflammation Test can determine the levels of omega-3 fatty acids in the blood required for optimal resolution of inflammation. The higher the score of this unique blood test, the more your body is impacted by diet-induced inflammation. 1. Excess dietary caloric intake causing oxidative stress. 2. Excess dietary intake of omega-6 fatty acids that promote inflammation. 3. Excess dietary intake of the saturated fatty acids, especially palmitic acid, that promote inflammation. 4. Lack of dietary intake of omega-3 fatty acids that reduce inflammation. 5. Lack of dietary intake of polyphenols to activate anti-oxidative genes to reduce oxidative stress. 6. Lack of dietary intake of polyphenols to promote gut health. 7. Lack of dietary intake of fermentable fiber to promote gut health. The more of these factors you have in your diet, the more likely you are to have increasing levels of diet-inflammation. These statements have not been evaluated by the Food and Drug Administration. Products that help reduce “diet-induced inflammation” are not intended to diagnose, treat, cure, mitigate, or prevent any disease. 1. Boden G et al. “Excessive caloric intake acutely causes oxidative stress, GLUT-4 carbonylation, and insulin resistance in healthy men.” Sci Trans Med 7:304 (2015). 2. Patterson E et al. “Health implications of high dietary omega-6 polyunsaturated fatty acids.” J Nutr Metab 2012:53942 (2012). 3. Gupta S et al. “Saturated long-chain fatty acids activate inflammatory signaling in astrocytes.” J Neurochem 120:1060-1071 (2012). 4. Simopoulos A. “Omega-3 fatty acids in inflammation and auto-immune diseases.” J Amer College Nutr 21:495-505 (2002). 5. Rahman I et al. “Regulation of inflammatory and redox signaling by dietary polyphenols.” Biochem Pharmacol 72:1439-1452 (2006). 6. Duda-Chodak A et al. “Interaction of dietary compounds, especially polyphenols, with the intestinal microbiota.” Eur J Nutr 54: 325-341 (2015). 7. Slavin J. “Fiber and prebiotics: mechanisms and health benefits.” Nutrients 5:1417-1435 (2013). Been using for years 1 tbs daily. AA/EPA is 1.1 even though I eat well maybe 50% of the time. Wouldn’t be without. First thing every morning I drink 8 oz tomato juice with 1tbsp OmegaRx2, 2 tbsp apple cider vinegar, 2 tbsp lemon juice. I chase it with 2 baby carrots or a celery stick, which wipes out any residual taste in my mouth. My dog stares at me eagerly as I measure out her 1/2 tbsp OmegaRx2! Wonderful for us both. Have used this for years. Helps elimate the belly fat!!! 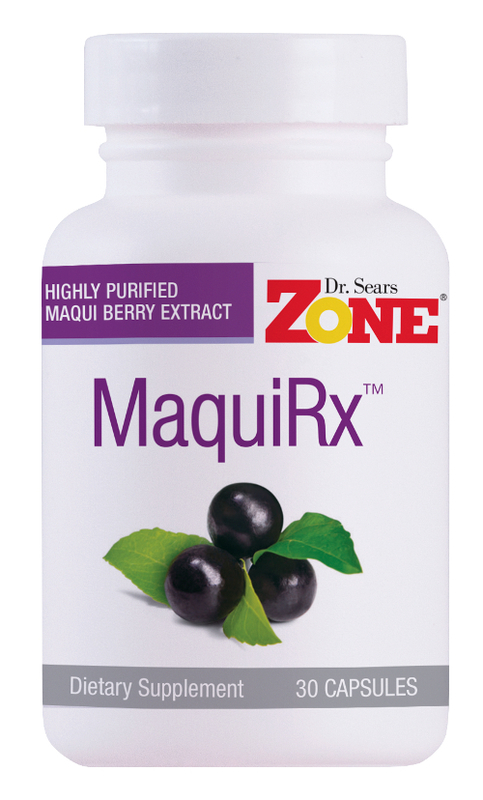 Your fatty acids are now even easier to get with OmegaRx2. OmegaRx 2 Liquid has been tested and successfully cleared by LGC Science (Lexington, KY) for the wide range of substances banned by the World Anti-Doping Agency (WADA). With that confirmation OmegaRx 2 Liquid is free of banned substances, including steroids, stimulants, diuretics, masking agents, and more, OmegaRx 2 Liquid is more appropriate for elite athletes than ever. OmegaRx 2 Liquid’s clean bill of health not only speaks to its purity and safety, but also gives strong assurance to elite and professional athletes that OmegaRx 2 Liquid has been cleared for use before, during, and after competitive and sanctioned events. LGC’s testing method identifies 160 core illicit substances that have been identified on the WADA Prohibited List or by other professional sports organizations, including the NFL, MLB, NBA, and more. Its testing capability is able to detect banned substance contaminants at levels of just 10 parts per billion (10 ng/g) or less. Research has shown that some supplement products have been found to be contaminated with low levels of substances that are prohibited by WADA (the World Anti-Doping Agency) and other sporting bodies. As a result, many professional athletes and the teams they play for require additional testing to provide confidence. Such additional testing also aims to provide athletes with an effective risk management service so that they can choose products that have undergone additional quality control testing as required in elite sports. Zone Labs works with LGC to undertake such additional testing. LGC is one of the world’s leading sports doping control laboratories. Although LGC has been testing supplements since 2002, it became clear that there was a need for a comprehensive certification program, which tested products for banned substances. Just as Zone Labs uses the leading laboratories in the world to test for levels of EPA and DHA, rancidity and PCBs to externally validate our omega-3 fatty acid products, we are now working with LGC to provide this additional testing of banned substances to our omega-3 fatty acid products that are used by top professional sports team throughout the world. LGC is a world-renowned sports doping control and research laboratory, with over 50 years of expertise in anti-doping in sport. LGC has published over 300 scientific papers on methods for detection of trace levels of substances that are prohibited in sports and has over 450 man-years of research into doping control. LGC has been testing supplements and ingredients on behalf of reputable manufacturers and suppliers for over 10 years. It has tested tens of thousands of samples during this time and has also carried out a number of research studies to explore the prevalence of contamination with prohibited substances in products and ingredients. LGC’s research into supplements and contamination also includes several administration studies to investigate the levels of prohibited substances that could cause an athlete to fail a doping test. These have been published in peer reviewed scientific journals. LGC’s testing capability for supplements and ingredients includes the analysis of over 146 substances that are considered prohibited in sport and substances that pose a threat in respect to product contamination. These substances include drugs of abuse, anabolic agents, stimulants, beta-2-agonists, masking agents, etc. As a doping control laboratory, LGC works directly with sports authorities, national anti-doping organizations, and national governing bodies worldwide. Providing advice and expert support, LGC is able to represent the views of partners and assist in the shaping of future regulation. Is LGC a WADA (World Anti-Doping Agency) accredited lab? LGC was only the 34th laboratory in the world to be accredited by WADA/IOC in 2004. WADA prohibits any of its accredited labs from providing commercial testing services to supplement companies. LGC voluntarily withdrew its WADA accreditation in 2007, ensuring that a high integrity testing service could be provided to address the issues of quality assurance within the supplement industry. Their extensive experience as a sport anti-doping laboratory provides them with a unique understanding of the sports regulatory environment from a laboratory perspective. Does LGC test for everything on the WADA Prohibited List? The WADA Prohibited List is specifically designed for urine analysis and refers to substances found in urine (i.e. after the drug has passed through the body). The body may metabolize a banned drug to other compounds as it passes through the body. Not all of the substances on the WADA prohibited list are able to be present in a supplement product. Additionally, the WADA list of prohibited substances is not definitive. By necessity the list identifies classes of prohibited substances, such as anabolic agents and related substances and prohibited methods only, rather than publishing a full list of substances. When analyzing a supplement product for contaminants the Prohibited List is unable to act as a checklist for all prohibited substances against which products should be screened — supplement analysis cannot guard against contamination using untried, untested and unknown designer drugs. Although it is not possible to test for all substances on the WADA list, LGC’s experience in testing over 50,000 samples and its’ close relationship with the WADA community, it has been possible to identify a list that will maintain product integrity. Which substances does LGC screen for? LGC’s testing capability for supplements/ingredients includes the analysis of over 160 substances that are considered prohibited in sport and substances that pose a threat in respect of product contamination. These substances include drugs of abuse, anabolic agents, stimulants, beta-2-agonists, masking agents, etc. What is the detection levels that supplements should be tested at? The labs that are accredited by the World Anti-Doping Agency (WADA) to screen athletes blood and urine samples use techniques that are very sensitive — with capability to detect banned substances down to 2 nanograms per milliliter (ng/ml) of urine (i.e. 2 parts of substance in 1,000,000,000 parts of urine). Doses (total intake) of low levels of banned substance (in the microgram range) can generate such levels in an athlete’s urine. As a result, supplements need to be tested for the presence of banned substances at sensitivity levels in the nanogram per gram or nanogram per milliliter range (as an athlete may ingest many tens of grams of supplement). Such low detection levels are beyond the “normal” QC requirements of pharmaceutical and food industries. In supplements tested through LGC program, the Level of Detection is 10 ng/g for steroids and 100 ng/g for stimulants. What are the limits of detection needed for banned substance screening in supplements? The limits of detection at the manufacturing stage are much lower than those conventionally addressed by “standard” quality control procedures in the supplements industry. This is why a specialized lab like LGC is required. The levels and limits of analytical detection have profound implications on supplement quality assurance program, demanding testing sensitivities that can only be met by highly specialized analytical laboratories, working to ISO 17025 standards. It is extremely uncommon for the manufacturing facilities used by supplement companies to have the capability to undertake such trace analysis, concentrating instead on the verification of label listings of specified contents. In most cases, supplement manufacturers will test products for other contaminants such as toxic substances, heavy metals, etc. and not necessarily for those substances that may give rise to a positive drug test for a professional athlete, such as nandrolone or ephedrine. ISO 17025 is the key standard for an analytical laboratory. It provides absolute confidence that if contamination exists above the defined limit of detection, then it will be identified and called “positive”. Laboratories that do not meet this standard may call a “negative” simply because they are unable to find the contamination, NOT because it is absent. Their techniques may be wholly inadequate. Analysis is of no value unless it meets the exacting requirements of the various regulating bodies. Results are therefore dependable, and will withstand scrutiny in court, in any jurisdiction around the world. Is there a link between WADA testing and ISO 17025? WADA screening is specifically designed for urine and blood analysis. There is no such thing as a ‘WADA test’ for anything else. However, WADA testing for urine/blood is carried out to ISO 17025 standards. ISO 17025 is an international analytical capability standard – any tests that are accredited to this standard have been developed and validated in line with international requirements and are regulated by external authorities. LGC is a WADA-experienced lab that performs testing of supplements to the same international analytical standard (ISO 17025) that WADA urine/blood testing is carried out to.